Listen up, sweet tooths of L.A.—some ice cream trucks are worth chasing down, and this is one of them. 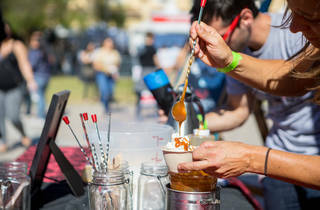 Prohibition-themed mobile dessert haven, Blast Ice Cream, combines all-natural, locally sourced ingredients with housemade toppings and a blast of liquid nitrogen. Choose from a rotating menu of sweet confections, which range from traditional scoops to creative sundaes. Dive your spoon into smooth, creamy ice cream infused with frosty ingredients that are frozen with 320-degree liquid nitrogen right before your eyes. Standout flavors include the Kettle Korn, which is composed of popcorn, raw sugar and sea salt ice cream, topped with popcorn infused whip cream, housemade butterscotch drizzle and frosted popcorn. To find out where the truck will be next, click here. The folks who own and operate this truck are wonderful - super sweet and sincerely care about what they do. I've seen the truck at a few events and it is almost always surrounded by a large group of happy people enjoying their ice cream. 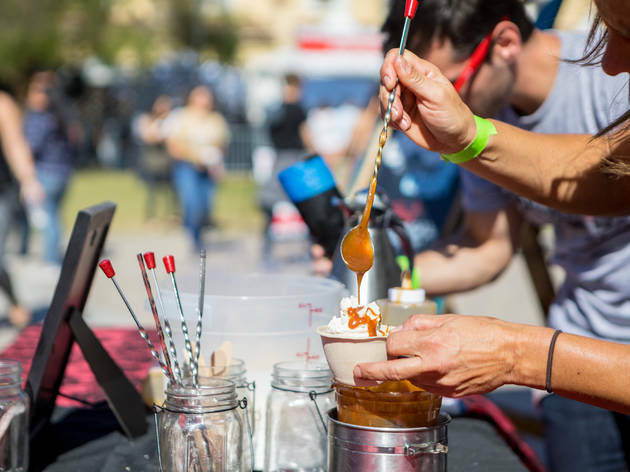 It is more expensive than some other ice cream trucks, but that is because they certainly put a lot of care into crafting their ice cream with lots of great local flavors and liquid nitrogen. I recently had a sundae with local lavender & it was phenomenal - some of the best ice cream I've had in some time.